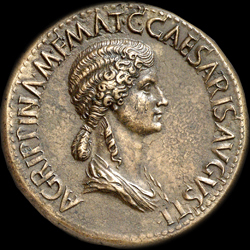 This coin is the cover coin of the Female Caesars by Jacozi A coin of incredible detail & condition from the ring holding the reigns of the donkeys to a portrait that launched a "love" to aquire the coin. 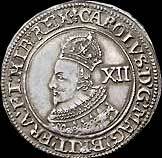 Very few coins of this period exist in such a natural condition. 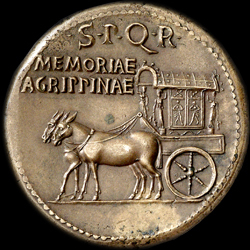 the Senate and the Roman people to the memory o f Agrippina.